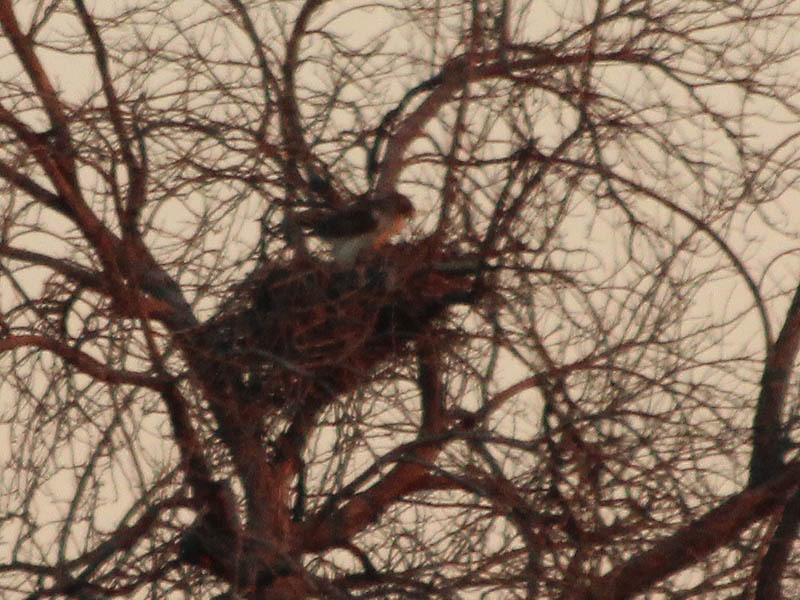 These photographs document the early stages of nesting for a pair of Red-tailed Hawks in Carrollton, Texas. 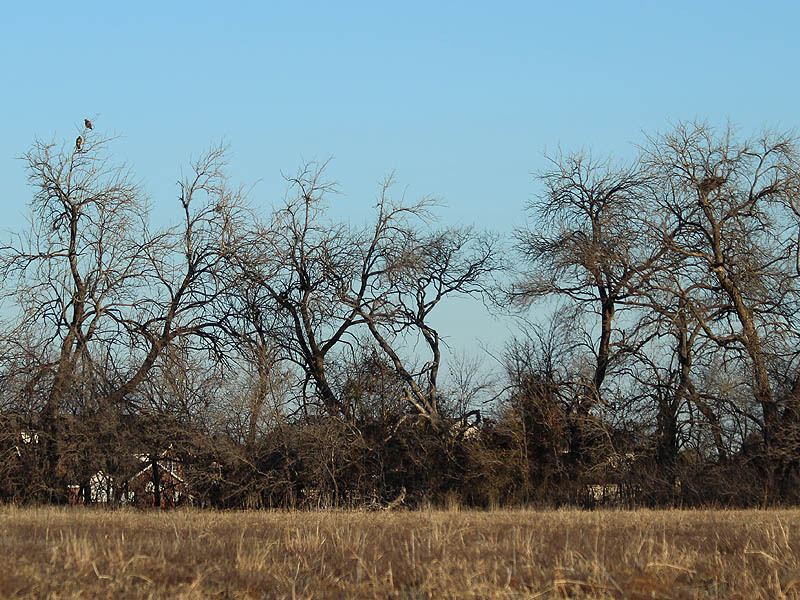 These two birds are frequently seen together along this treeline. Occasionally, one or the other hawk is seen repairing and enlarging the nest. No eggs have been laid yet. It is not clear whether this is the pair’s first year to nest in this location—although I believe it is likely that it is. 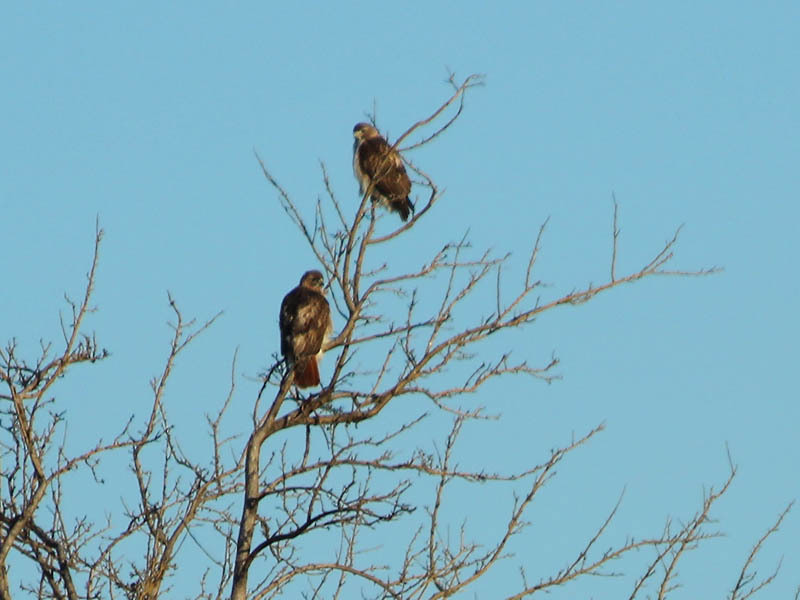 The male and female hawks together. 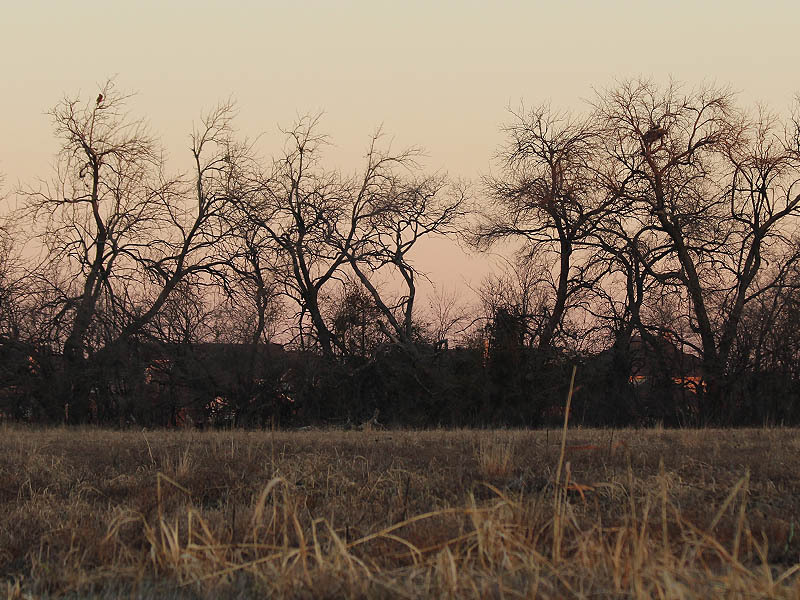 The two Red-tailed Hawks are high in the trees to the left. 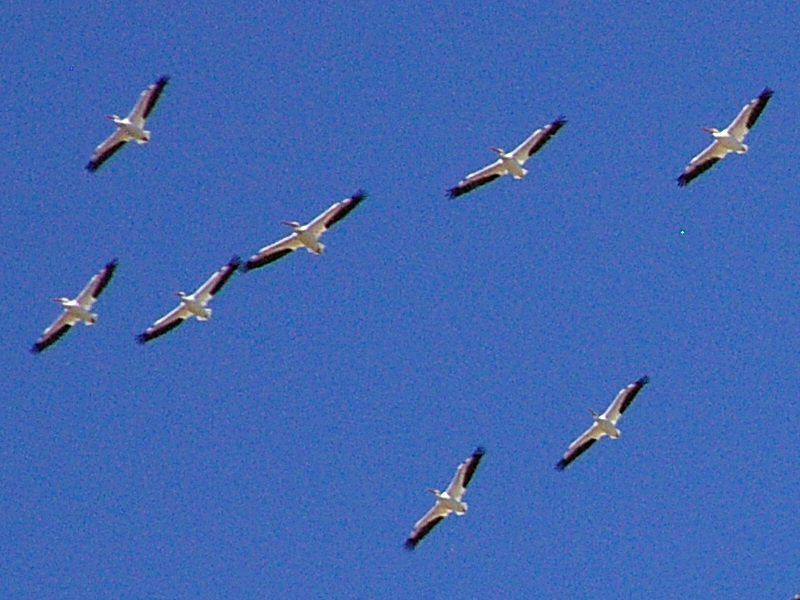 The nest is in a similar position on the right. In this picture, the male is perched in one of trees on the left, and the female is on the nest near the right hand side. The female Red-tailed Hawk working on her nest. 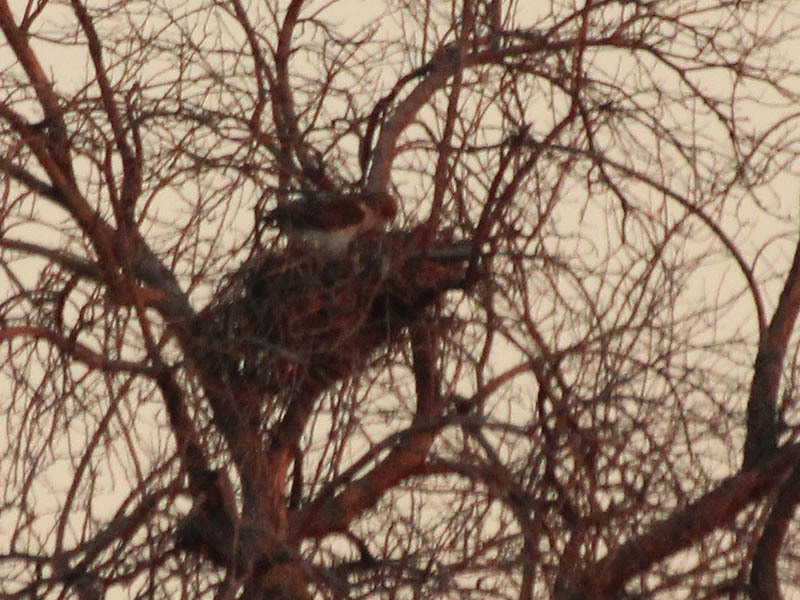 Another view of the female hawk preparing her nest for a soon to be laid clutch of eggs.